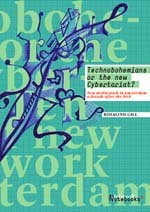 Technobohemians or the new Cybertariat? 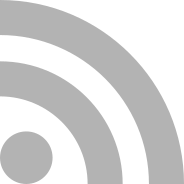 The Institute of Network Cultures published an insightful study on the culture of new media work by Sociologist Rosalind Gill. Technobohemians or the new Cybertariat? New media work in Amsterdam a decade after the web, is based on 40 'semi-structured' interviews with practitioners (designers, developers, artists, information architects, ...). Her study reveals the often precarious situations web workers find themselves in, but most of all her analysis and critique of their (our?) egalitarian self-image, makes it a Must-Read. "It is striking to see that two of the three people who commented on this issue (racism - FS) were themselves immigrants to The Netherlands; it simply did not seem to be visible or worthy of comment to others of our participants - a tendency which tells us a great deal about the normalization and power of whiteness."